Shown is a W7 Series Shinkansen in Japan. Could the Pacific Northwest be served by high speed trains in the future? The push for a bullet train between Portland, Seattle and Vancouver, BC, is getting additional backing. The state of Oregon and Microsoft Corporation are putting money into an in-depth "business case analysis" previously launched by Washington and British Columbia. Oregon's Department of Transportation chipped in $200,000 and Microsoft added $300,000 to what began as a roughly $1 million consultant-led study using $750,000 approved by the Washington Legislature and CA$300,000 ($229,000) committed by British Columbia. Charles Knutson is a transportation policy advisory to Washington Gov. Jay Inslee. He said, like the new study, the envisioned high speed train could be a public-private partnership. "Whether it is real estate plays or on the operations side, we could see an opportunity for the private sector to be involved,” Knutson said. “So we see this business case analysis as a way to potentially attract an investor base and help take this to the next level." Knutson outlined the study goals at a cross-border public policy summit underway this week in Spokane under the auspices of the Pacific NorthWest Economic Region. He said "ultra-high speed" rail service could cut travel times from Seattle to either Portland or Vancouver, BC, to one hour—down from the current three hours by car. The upcoming business case analysis will build on a feasibility study completed by a different consultant for Washington state in December. Neither the states nor the province are committed to actually building a high speed train at this point. That first study assumed the dedicated railway or tube to enable travel speeds of 250 miles per hour would require a substantial amount of tunneling. Depending how much tunneling took place, the study authors estimated a ballpark cost to acquire right-of-way and build a system at between $24 billion to $42 billion. 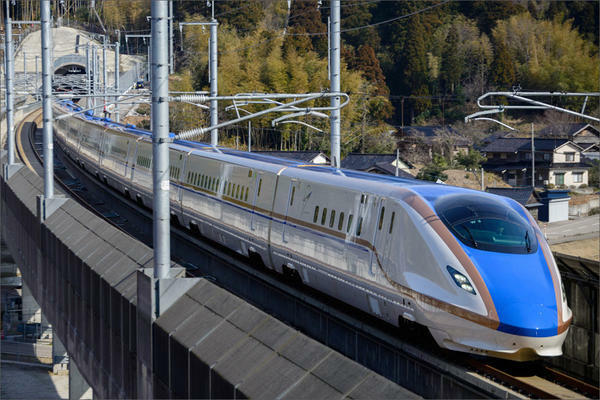 The initial feasibility study found a Cascadia bullet train could attract 1.8 million annual riders within a few years after launching and potentially cover its operating and maintenance costs, depending on which train technology was chosen. Knutson said this new follow-up study will take "a deeper dive" into the ridership and revenue numbers. A WSDOT spokesperson said the new analysis has a due date of July 2019. During a joint press conference in March, Inslee and British Columbia Premier John Horgan said they were aware of the large cost overruns and construction delays on California's high speed rail project. "Any mistake they’ve made, we’re going to put in the bank and learn from it," Inslee said this past spring. Speaking in Spokane on Monday, Knutson said population growth in the Cascadia corridor and traffic problems justify the embrace of faster Amtrak service. "The No. 1 question we get when we're talking to folks about this is, 'What took you so long?'" Knutson said. "There is a lot of momentum for this."